Update your home. Make your home feel brand new with modern appliances and a custom design. At Starcom Design/Build, we are proud to be Greater Columbia's trusted home improvement and home remodeling contractor. We have 30 years of experience in the industry, and the process that we've used to help thousand of satisfied customers can help you too! We understand that hiring a firm to complete a home improvement construction and design project is a huge and highly personal undertaking, and we promise to make it as easy and pain-free for you as possible. 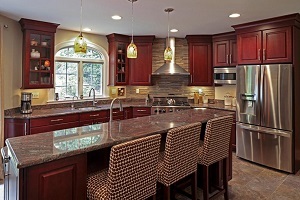 Call us today at 1-855-230-3690 or click below to start your home remodeling project with a free estimate! Feasibility studies: Will your idea work in your home? Will the county approve the project? Let us take care of the details to make sure your project is... PERFECT. Architectural design: We can bring your idea to life and work with you on any changes to ensure the remodel/addition we create is to your EXACT specifications. Project management: Each project we handle features a dedicated project manager who will see it through to completion. Work is performed daily and to our highest standard, and if any problems ever arise, the project manager will design a plan of action to keep the project flowing smoothly. Construction: From the first nail, to the last drop of paint, Starcom handles all aspects of the physical construction of your project. Our attention to detail and quality is second to none. Inspections: At each phase of construction, we personally work with the county (Montgomery, Howard, Anne Arundel and Baltimore Counties) and obtain all inspections necessary. By the book, but integrated into the timeline so as not to slow down completion of your brand-new creation. Warranty services: Promises are nice, warranties are protection. Check out our no-hassle warranties and see that Starcom stands behind our work and will be with you to the end of the project, and WELL beyond. Whether you already have designed plans, are working with an architect, or just have a vision dancing around in your head, we can work with you to create a finished product that will be as beautiful as it is functional. Build something beautiful. Our design experts will make your dreams a reality -- inside or outside your home. Looking to update your home but ffeeling stumped? You want a new kitchen or bathroom, you need an addition, or you're eager to renovate your garage but you have several questions. How large of a project is this? What options do I have, such as moving walls and doorways? Can I fit it in my budget? With Starcom Design/Build, you can be assured we will work with you to come up with the perfect construction project ideas and then help you decide how to implement them. Whether looking to redo a smaller 1/2 bath, or add a 2,000-square-foot addition to your dream home, Starcom Design/Build can manage the project from inception through completion. We work with some of the area's top architects to create a space that will literally transform an average area into an award-winning masterpiece, on budgets both large and small. Starcom Design/Build's award-winning design team can help you create a personalized design, bringing the renovation of your dreams to reality. Our process begins with a Starcom Design/Build award-winning designer sitting down with you and your family to talk. We'll discuss your goals, what you're looking to get from the project, and the best ways to achieve these. No matter the size, scope, or budget, we will work with you personally to ensure that the project they complete for you will add years of enjoyment for you and your family. Some people are looking just to add additional open space, while others have a direct purpose. Whether it is an additional master bathroom, or simply a walk-in closet, beginning first by identifying what it is you really want is the most important step. From there, our trained and knowledgeable contractors can suggest what designs and products will truly meet your needs. Bring your vision to life. Our experts specialize in taking your ideas and giving you a finished product that fits them perfectly. When starting a building project with Starcom Design/Build, you can expect a professional experience and a quality outcome-project managers handle the details for you every step of the way, from legal requirements for home improvements to certifications and work requiring a specific skill set (i.e., plumbing). You'll receive a written estimate and agreement for any work to be completed prior to the start of the project, including price and timeframe for completion. We are patient and we listen. Even though our professionals know exactly what to do during a remodel, our willingness to explain the design-build process will allow you to feel at ease putting your home in our hands. With 30 years of experience in home remodeling, Starcom Design/Build can turn your ordinary home into something extraordinary. Whether you want a new kitchen, bathroom, addition, deck, sunroom, or anything else, we have the expertise and quality craftsmanship to transform your home into exactly what you envisioned. 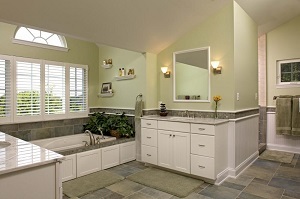 We offer free estimates on all our home remodeling services, so call us today at 1-855-230-3690 to get started. We proudly serve in Silver Spring, Columbia, Rockville, Laurel, Annapolis, Glen Burnie, Parkville, Ellicott City, Gaithersburg, Catonsville and throughout the surrounding areas.